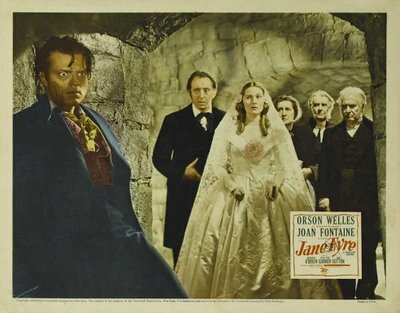 The 1943 version of Jane Eyre is definitely a classic. This site is devoted to the love of classic movies. What qualifies as a classic film or movie is somewhat subjective. There are certain films that endure because they strike an emotional chord long after their initial release. For example, a movie like Casablanca (1942) would qualify as a classic under that definition. I enjoy sharing my classic movie experiences with my readers. I teach adult education film classes at Facets Film School in Chicago, IL. I am also available for presentations on classic films for the classroom and in your own home. If you'd like to contact me for a presentation or for information about my film classes, you may do so via e-mail at sreggie@sbcglobal.net. I love to hear from my readers. Feel free to share your favorites with me either by e-mail, as stated above, on the Classic Movie Man Facebook fan page, or right here on this blog. Enjoy your time visiting with the Classic Movie Man!